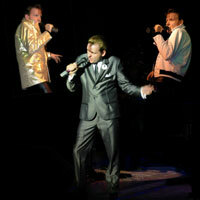 Almost Billy Fury tribute to Billy Fury is second to none and he is very quickly establishing himself as the UK's leading Billy Fury Tribute artiste. His Almost Billy Fury tribute shows are a totally authentic evenings entertainment capturing the sounds of the 50s and 60s and the look of Billy Fury. He has been performing his tribute show to Billy Fury for over 10 years and brings his experience of live performance and attention to detail to his Billy Fury tribute shows. This is the number one International Buddy Holly tribute. Performing throughout the UK, and many worldwide venues. He has thrilled audiences, leaving them amazed at the likeness vocally and visually of the legend he portrays. 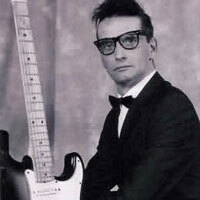 To see him perform as Buddy Holly ensures you are seeing the very best tribute that can be found. The vocals and looks are superb together with the guitar work and even the perfection in his voice. With meticulous attention to detail - this is a show not to be missed!